"There is nothing but support at People's Place. The shelter staff are amazing. They are always asking if you need anything. Always there to listen ad be supportive. People's Place has been my light, when all I saw was darkness. I was a stranger in need and the staff there made me feel right at home!" The SAFE Program recently reveiwed "Survivor" comments about the program. My advocate and case manager (all of the people who work here) do anything and everything to help. I feel as if I limped in here with every aspect of my life in disarray. After only 2 weeks, more had been accomplished than I would have ever thought possible. All of the staff is very caring and I feel connected to a "community" of people now. The staff has been great. I don't think I would have gotten through this heartache without their help. The staff has given me a wonderful support system. I feel very safe here and have been taught more about safety precautions. The staff helps me stay grounded and has helped me through anxiety attacks and stress. Thank you! If I couldn't have gotten the help with security and utility deposits I needed, I would not have been able to move into my apartment as quickly as I am. Thank you. I have thought of contacting you a thousand times and haven’t taken the time to do so. Our sessions ended and I never had the opportunity to tell you what an impact you had on me and how very grateful I am for that. You helped me to see myself and those around me for the first time in my life. I feel as though without realizing, I literally spent my entire life merely surviving on a day to day basis. Through your guidance I not only learned to see myself, but learned to love who I am and what I have to offer this world. My changes have been huge, yet by baby stepping the entire way. I owe that to you. You are the only person that helped me to know that it’s okay to do things my way at my pace as long as it is healthy. So, I write this today to say Thank You! Thank you for helping me become a better and stronger friend to myself, mother, daughter, employee and friend. My truth is my marriage was like an addiction to a powerful drug. Fear and co-dependency kept me trapped. My previous counselor kept me trapped in the cycle of fear and what I “MUST” do. I felt I just added one more person to the list of who controlled me. My counseling with you helped me to understand what was happening within me instead of all of the focus being on my husband. Brick by brick you removed the fear that paralyzed me so I could gain the strength to reach outside of the box. I will probably be a work in progress the rest of my life and I’m okay with that. I’m happy to simply strive to be healthy and whole. I have a strong desire to help anyone in my situation. To let them know….never give up…you can always do what you tell yourself you can’t….blessings are ALWAYS on the other side of struggle, etc. It would be my honor, if I could help one person in my lifetime to receive the gift of freedom that I received. 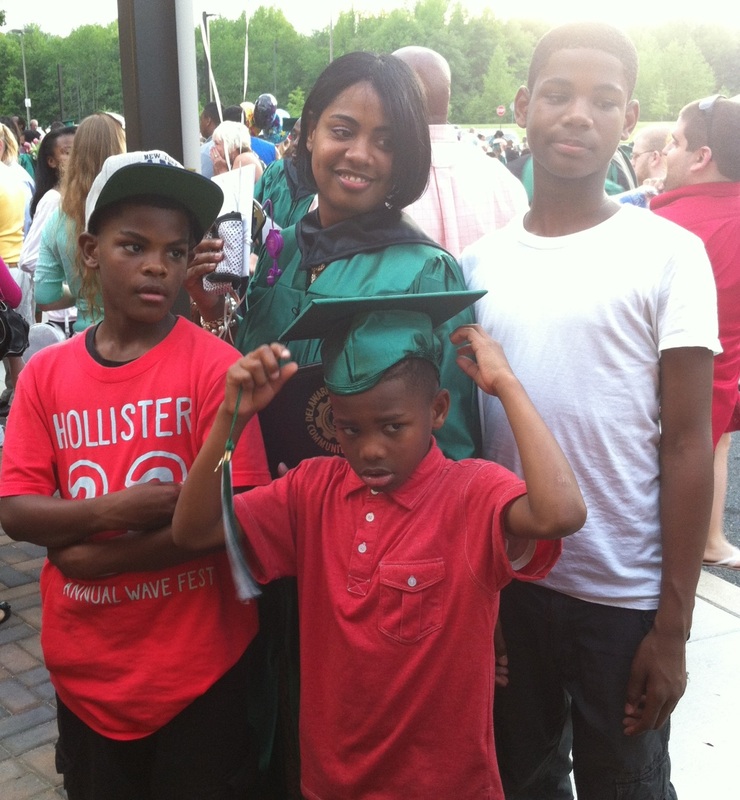 Three years ago, Denise and her three young sons were sleeping in a homeless shelter. She was enrolled at Del Tech and working at the registrar’s office through a work study program, but she struggled to keep passing grades and provide the basic needs for her family. Today, Denise has an associate degree in Criminal Justice and is working toward her bachelor’s degree in Behavioral Science. She works both as a part-time employee and a volunteer for People’s Place, and she will soon start a full-time job in food service at a hospital. She hopes to continue her education and become a Family Court judge, where she can voice the needs of children and work with a family as a whole. “I’m learning that you can’t have a functional child without having functional parents,” Denise says. Denise is confident that she will continue the relationships she has established at Vera’s Haven. She is thankful for the skills and resources she has gained, and she looks forward to spreading that information to others. Congratulations to Courtney and Christella, the first college graduates in the Independent Living program in Sussex County! 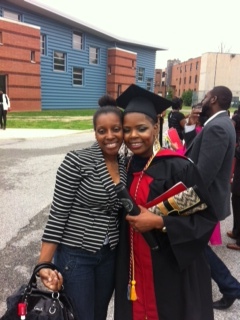 In May 2013, Courtney graduated from Delaware Technical Community College with an associate degree in criminal justice. She plans to continue her education in the fall and pursue a degree in Homeland Defense and Emergency Management. Christella and Courtney are former foster youth in the Independent Living program at People’s Place. The program serves current and former foster youth, ages 16-21. The Independent Living staff offers assistance in the areas of job search and accessing training, educational planning, housing assistance, money management, social skills, accessing community resources, and other personalized services. Angela lived at Vera’s Haven for two years, paying rent at a rate she could afford. She maintained full-time employment, attended college part-time, and participated in housing counseling and financial literacy classes through the National Council on Agricultural Life and Labor (NCALL) Research Fund, Inc. After seeing an ad in the newspaper, her case manager referred Angela to the Habitat for Humanity program. She applied and eventually became a first-time homeowner and the first Vera's Haven graduate to own a home! With thoughts toward her future, Christella signed up for classes at Del Tech. During her two years there, she worried about what to do next and how to fund two more years of college. Her Independent Living case manager helped her research available scholarships for foster youth, and they found resources like the Ivyane Davis Scholarship, the Education and Training Voucher program, and the Stand By Me Scholarship. “Linda Ann” came to us for help while still involved in a 6-year abusive relationship. Linda Ann had three young daughters, no job, no car, and no family nearby. Several times a week, her boyfriend would get angry and lock her out of the apartment, forcing her and the kids to sleep in his car or on the street. Last winter, while sleeping in the car in freezing temperatures, Linda Ann had had enough. She contacted us, gained shelter, and enrolled in our case management program. Contrary to what her boyfriend told her, she quickly found employment and was able to secure an affordable apartment for her family, leaving him behind. Last May, Linda Ann received her B.A. 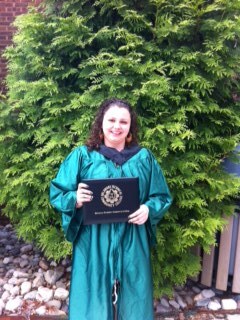 degree from Wilmington University. “Jennifer” sought emergency shelter after finding the courage to leave her abusive husband. When she left her home, her husband would not allow her to take her two teenage children with her. She is working through the courts to regain custody. She was able to have visitation with her children for the holidays, and a gift card from our SAFE Program allowed her to purchase gifts for them. “Karen” is a mother of four who came to us for counseling after separating from an abusive spouse. Her children range from toddler to middle school student. Because of the physical violence and injuries she suffered, she lost her job and is now unable to work. She is scraping by, managing to still pay the mortgage and utilities and put food on the table.